– Photos and writeup by Marney Blunt. I have always loved wolves. 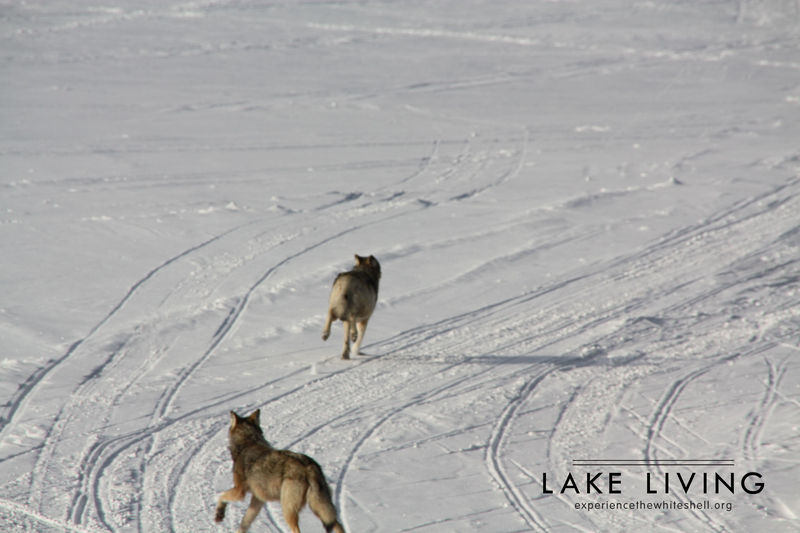 Their eerie howls, massive paw prints in the snow, and remainders of their deer kills on the lake are absolutely fascinating. 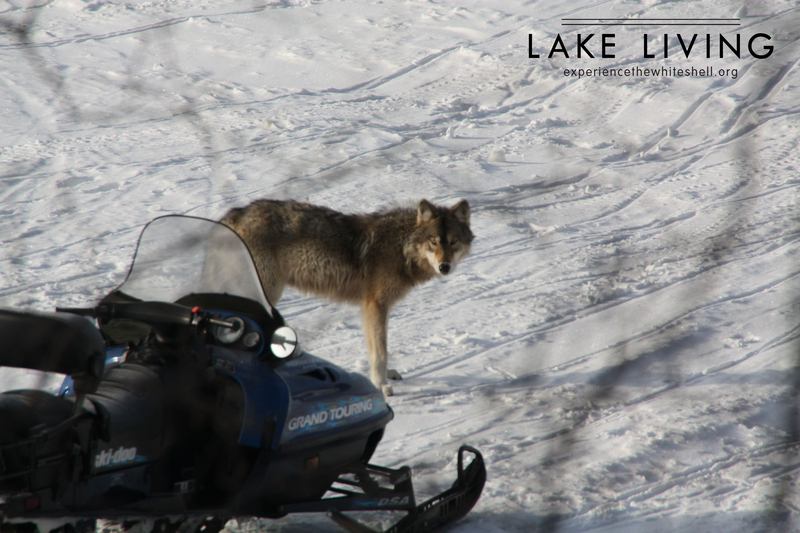 In my opinion, they are the coolest wildlife that anyone could see or hear in the Whiteshell. While extremely aloof, on occasion you can be lucky enough to see them, and in winter 2011 I was lucky enough to have a camera available too. 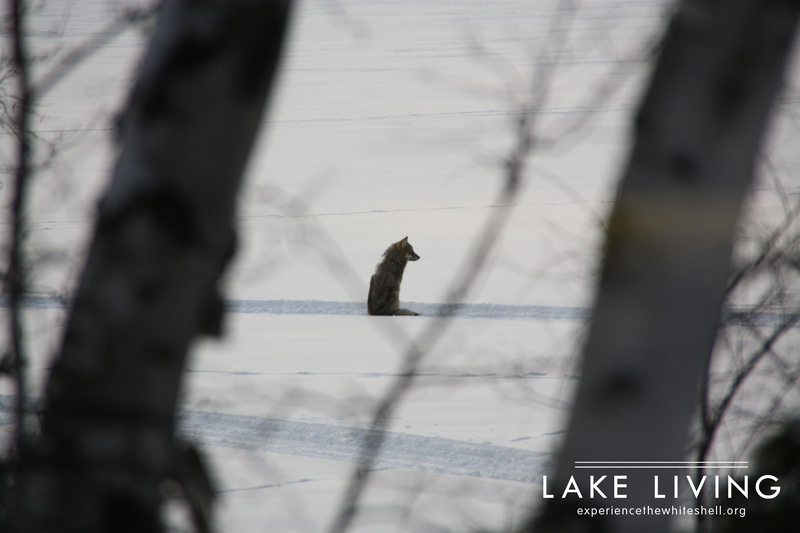 These photos were taken on Star Lake during that winter. 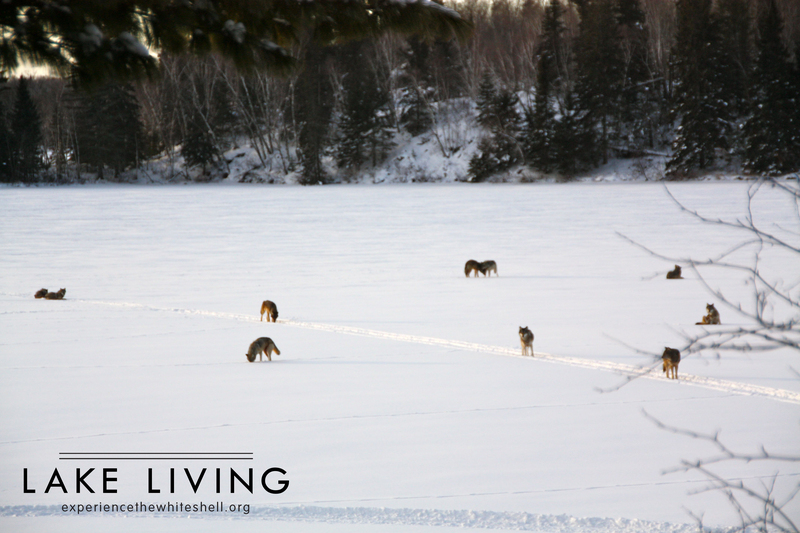 A pack of ten wolves came across the lake from a bay in the northeast corner of the lake, right beside our cottage. 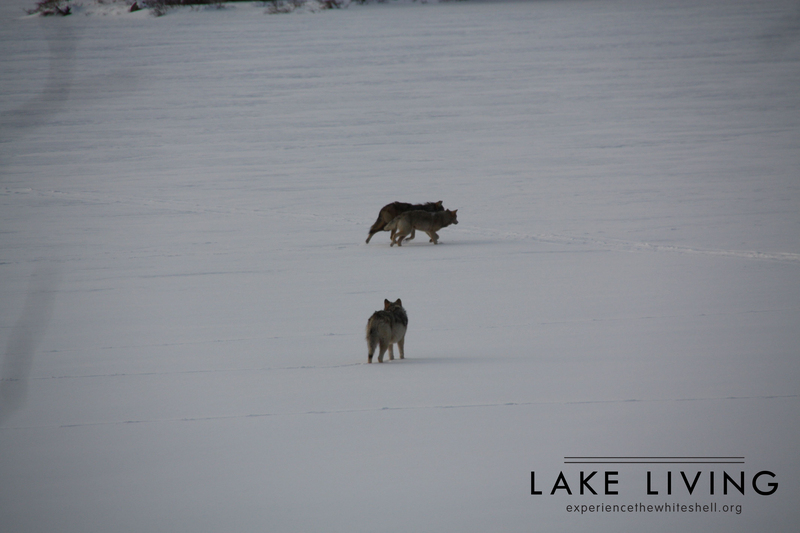 They hung out on the ice in front of our cottage for awhile, providing the perfect photo opportunity. Some of them were even play fighting! 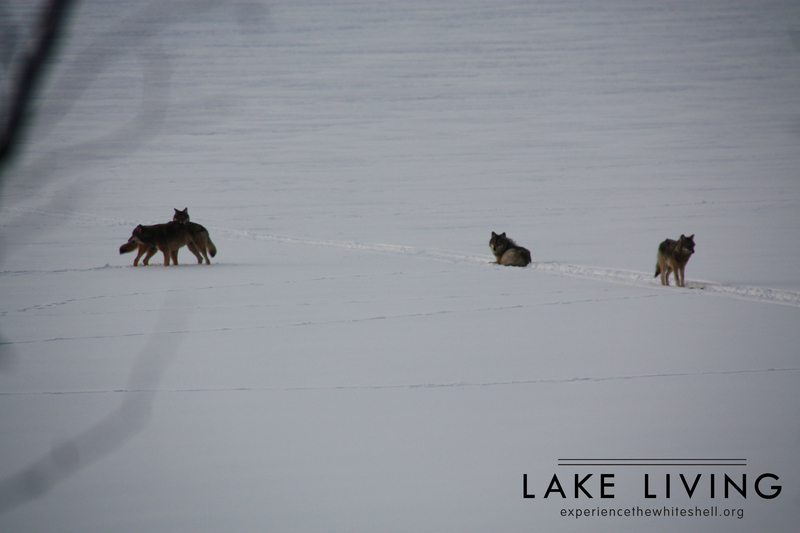 Eventually they moved off into the woods on the left side of the lake, towards the old logging trail behind Star Lake. 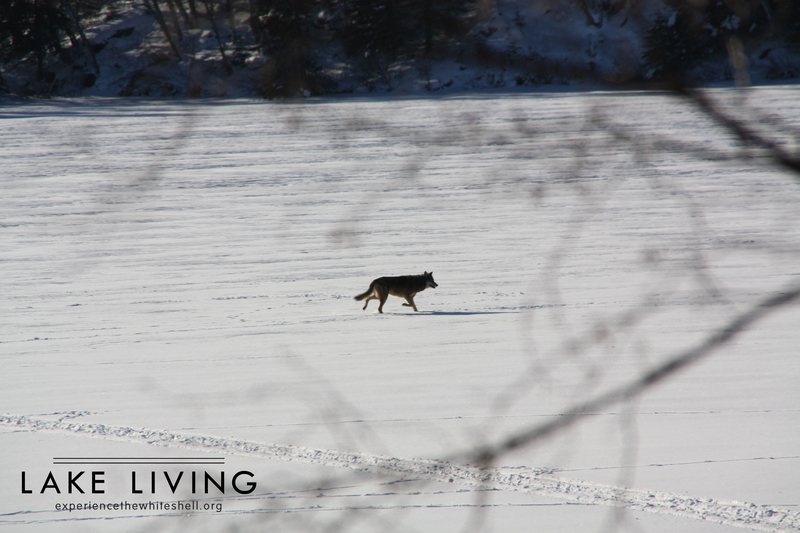 About 15 minutes later another lone wolf came from the same direction and trotted across the lake, as if it was hoping to catch up to the others. These photos were taken on Star Lake later that same winter. 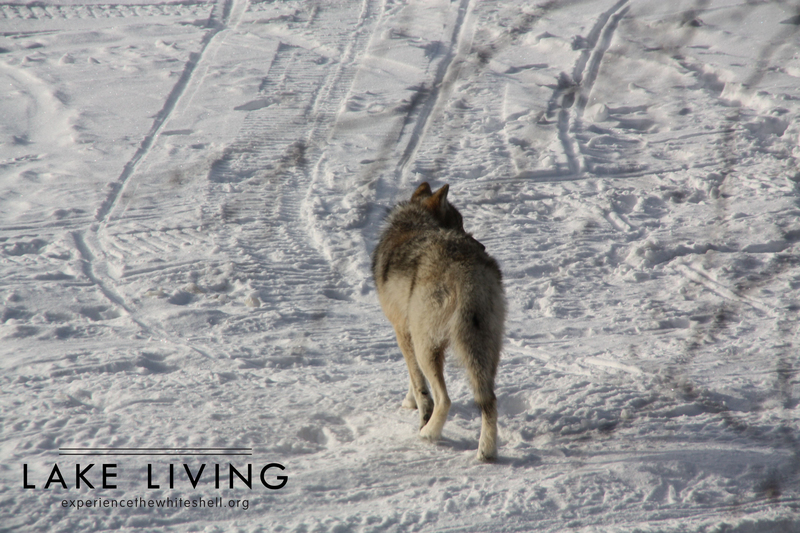 Two wolves were just hanging out by the snowmobile for awhile before noticing us and taking off. Those are some fantastic photos, Marney. And a great post too!! Thanks, Maha! Miss you! Hope things are going well in Pang!